The Providence Bruins take on the Lehigh Valley Phantoms on Friday, April 12 at The Dunk. The first 1,000 fans in attendance will receive a FREE Team Poster, courtesy of University Orthopedics. Choose from 2 great offers: the Family Ticket Combo featuring a ticket, hot dog and soda or beer all for one low price; or $5 off Friday, featuring $5 off tickets to the game! 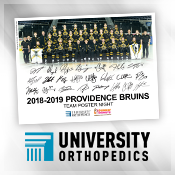 Be one of the first 1,000 fans in attendance and receive a FREE Team Poster, courtesy of University Orthopedics! Don't miss your chance to get this fan-favorite giveaway on a Friday night at The Dunk! Save on a fun night out with the Family Ticket Combo! Get one (1) ticket, one (1) hot dog and one (1) soda or beer all for one great price! 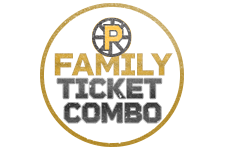 Get 1 ticket, 1 hot dog and 1 soda or beer with the Family Ticket Combo–available for this game only!